Custom, private deep sea fishing excursions in Cozumel. The first sportfishing fleet in Mazatlan, Mexico. We have been Mazatlan fishing since 1946. Daily trips for Marlin, Sailfish, Swordfish, Dorado, Shark, Tuna, Grouper, Snapper, Snook, Trigegr Fish and more! Daily trips for Snook, White Sea Bass, Red Snapper and more! 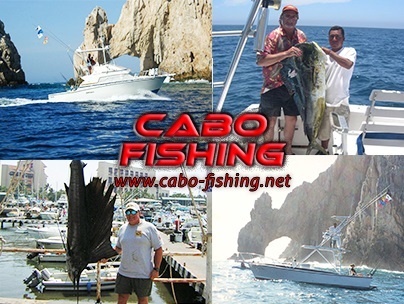 World-class sportfishing expeditions in Cabo San Lucas Mexico. Saltwater Fly Fishing trips and deep sea fishing charters. The nicest fleet in Cabo. Excellent rates on deep sea fishing trips in Cancun Mexico. Shared and private charters. Cancun Vista provides updated itineraries to brief persons on the trip events, even before arriving in Cancun. For additional recommendations or to inspect the services and packages; check http://www.cancunvista.com the official page for expert travel advice. This is the perfect resource to research facts and tips about Cancun adventures, tours, activities, etc. We commit to answering all questions in a well-timed manner and provide advice to fill customer needs well. Aye mate! Don your pirate garb and join the fun on this no holds barred interactive buccaneer cruise! Lobster and steak dinner too. Not to be missed. Come experience a deep sea sport fishing adventure you will never forget in Costa Rica aboard the Bottom Line, a 31' Blackfin sportfishing boat skippered by top sport fishing guide Captain Mark Corn of Southern Costa Rica Sport Fishing on the Osa Peninsula. 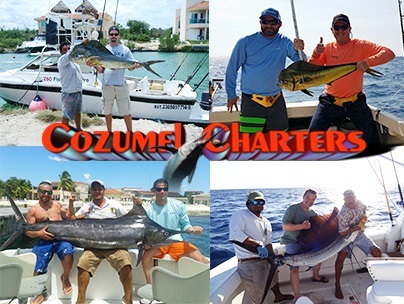 Offering the finest all-inclusive fishing charters in Cozumel Mexico. We also run trips from Playa del Carmen and the Riviera Maya! Your guides to the Flats of Cozumel!